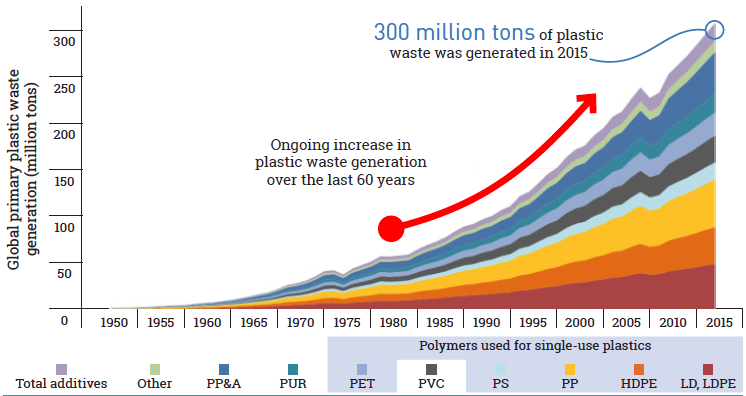 The world produces more than 400 million tonnes of plastic every year. 5 trillion per year and 10 million per minute. That is the amount of plastic bags consumed worldwide. We could literally wrap all these plastic bags seven times around the world every hour and cover an area twice the size of France. Supermarkets are putting 810,000 tonnes of single-use plastic packaging on to the market every year, which is equivalent to 59 billion pieces of plastic packaging a year. 10 top UK supermarkets are putting 1bn single-use plastic bags, 1.2bn plastic produce bags for fruit and vegetables and 958m reusable “bags for life” on top of the 810,000-tonne plastic footprint. 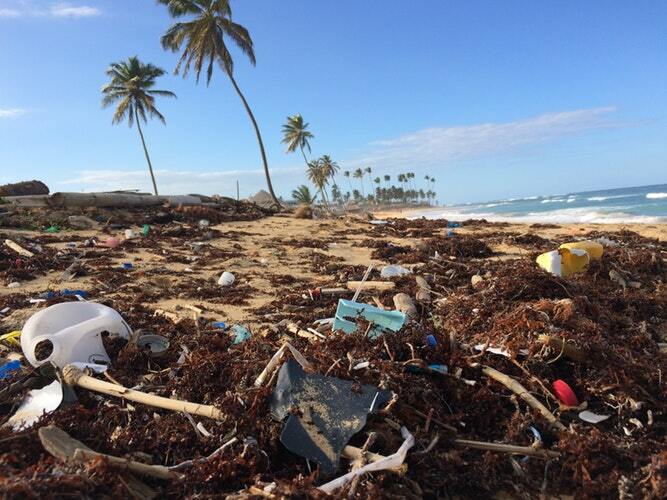 8 million tonnes of plastic ends up in the ocean every year, 1 garbage truck every minute. Plastic bags are used for an average of 12 minutes and it takes 500 (or more) years for a plastic bag to degrade in a landfill. In 2050 it is projected that there will be 12 billion tonnes of plastic litter in landfills and the environment. Once the plastic is used most people throw it away in a bin, recycling bin or on the street. Eventually, some plastic ends up blocking sewers, which provide excellent breeding grounds for mosquitoes and pests. This ends up increasing the transmission of vector-borne diseases like malaria. Wind and pilling up of plastic waste eventually can cause choking and entanglement hazards to wildlife on land and in the ocean. It also finds its way in oceans and blocks the stomach of thousands of animals disrupting the whole ecosystem, particularly sea creatures like turtles, whales, and dolphins. Even micro plastics get ingested and consequently enter in our food chain. By 2050, an estimated 99% of seabirds will have ingested plastic. These are only a few of the effects of plastic waste. Besides the shocking numbers presented earlier, which should be a motivation for action, there are other reasons why today is an opportunity for change. 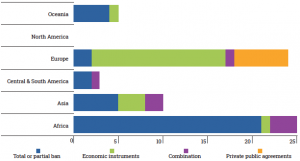 The European response was to find a preliminary political agreement in December 2017 to set a target for packaging recycling at 65% by 2025, to be increased to 70% by 2030, and a specific target for plastic packaging recycling at 50% by 2025, to be increased to 55% by 2030. 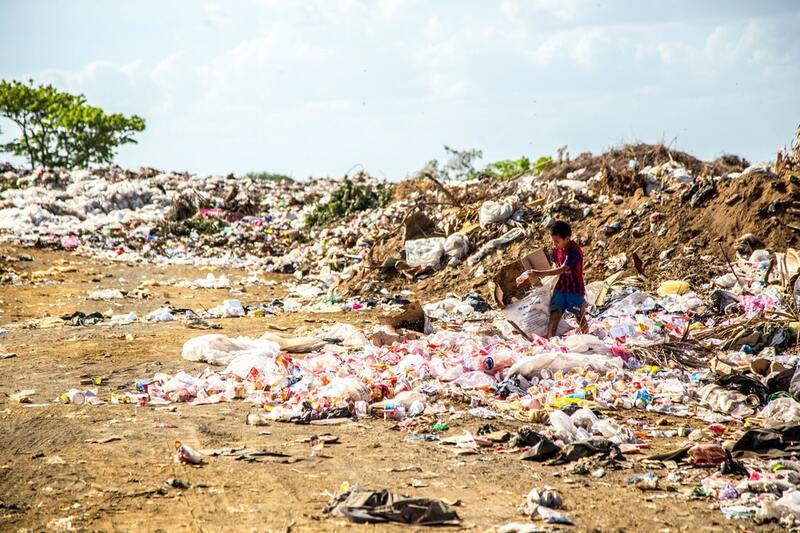 Wealthy nations are used to selling their recycled plastic scrap to Asia for the simple fact that it’s easier to ship it around the world than process it at home. With China’s door to plastic waste closed, hundreds of small-operation Chinese plastics recyclers relocated to other Southeast Asian countries shifting the issue to other countries. 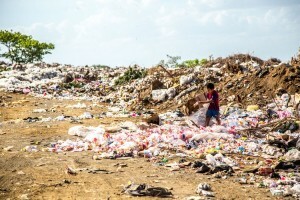 During the first half of 2018, imports of plastic trash increased by 56 percent in Indonesia, doubled in Vietnam, and rose in Thailand by 1,370 percent. In light of this phenomenon, Thailand already suggested to ban all foreign imports of plastic waste starting in 2021. Similarly, Malaysia announced that it would phase out imports of all types of plastic, including “clean” plastic, by around 2021. First of all, prevention of waste should be the priority. However, besides taking action at the international level, citizens and private industries like supermarkets have their share of responsibility in reducing their plastic waste. Unfortunately, some measures aren’t enough to stop supermarkets such as Sainsbury’s, Tesco, Morrisons, Waitrose, Co-op and Aldi in the UK, to put plastic bags into their shops three years after the introduction of 5p charges under EU law. 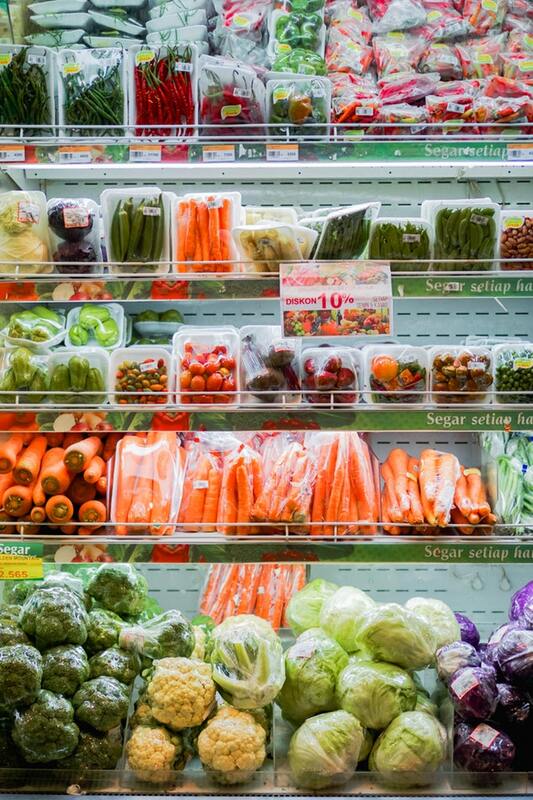 Half of the supermarkets surveyed by Greenpeace had no specific targets to reduce plastic packaging and most of those who do are moving at such a slow pace (just 5% a year) that it would take them 20 years to rid their shelves of throwaway plastic. All were focused more on recycling than on single-use plastic reduction. Most have only committed to eliminate non-recyclable plastic packaging by 2025. 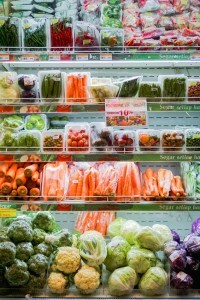 Plastic-free aisles are the latest innovative way of testing the compostable biomaterials that offer a more environmentally friendly alternative to plastic packaging. The first to take action was Ekoplaza, a Dutch supermarket chain which opened in Amsterdam on the 28th of February 2018, the first supermarket with a plastic-free aisle. Followed quickly by Thornton’s Budgens in London who has successfully taken 1800 of their product lines into plastic-free packaging. The owner, Andrew Thornton, said this was only the beginning. He hopes that within 3 years 75% of the plastic in his supermarket will be eradicated. Shoppers have also started to take action by organizing so-called “plastic attacks”. This is an “event”/gathering where shoppers after checkout start to strip all the plastic packaging from the food they have purchased and it is collected into trolleys by the organisers and given to the management team of the supermarket. They often advertise locally and on various social media sites and openly inform the supermarket they wish to target of their intentions to stage such an event. Some might say this is a chicken or egg question: do we have to consume less plastic products or do industries and supermarkets that produce and sell them have to decrease the amount of plastic generated? But why not do both? Action is needed now and it is important to be aware of all the possibilities we as citizens have to tackle the issue of plastic waste.